Photo: The gauge stands alone. Eastern Mojave Vegetation The gauge stands alone. Not enough rain. Too much water diverted to Los Angeles. Time to move the gauge. Inyo Forest Road 01N108 "Picnic Grounds Road," Mono County, California: Picnic Grounds. Field Notes: Sunday, July 21st. A Checklist Flora of the Mono Lake Basin, Mono County, California and Mineral County, Nevada. : at Picnic Grounds. 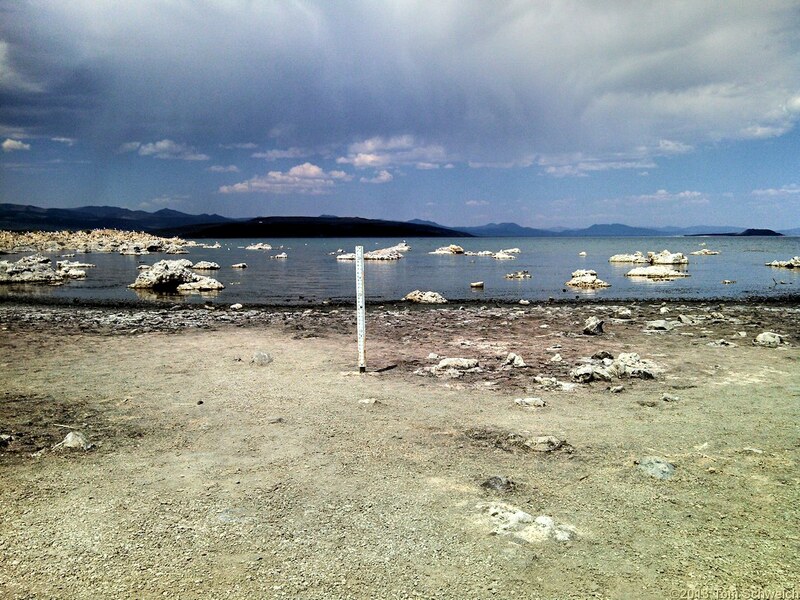 Other photos about Geography - Mono Lake Basin, California or Picnic Grounds.